Your credit file consists of public information and information provided by past and present creditors (if any). At the time of writing, there are three credit reference agencies in the UK: Experian, Equifax and Callcredit. All three are private companies that hold information about you and your credit history. The data registered about you may not be identical in all three databases, because not all creditors share information with all three credit reference agencies. When a prospective lender wish to check your credit file, they can contact one of the credit reference agencies to receive information about you. This information is used to determine your creditworthiness. Credit checks are also made to verify a persons identity and background. Your creditworthiness is likely to impact your ability to get your loan application approved, and it will also impact your position when it comes to negotiating a low interest rate or other beneficial terms for the loan. If your creditworthiness is deemed to be low, you are likely to be denied credit or only be offered small loans with high interest rates and short repayment periods. 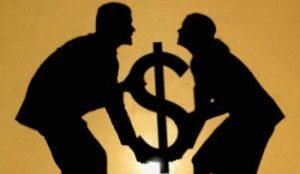 Lenders are also more likely to ask for collateral or a guarantor, or require that you apply jointly with someone else. What’s in my credit file? Here are a few examples of information that may be in your credit file, depending on your credit history. Your credit file will include information provided by lenders regarding loans, credit cards, bank accounts, and similar. Certain utility companies also send information to your credit file. How long will the info remain in my credit file? How long the information will remain in your credit file depends on the information. Information about missed payments, defaults and court judgements stay for 6 years, even if the debt no longer exit. After 6 years, the information is removed, even if the debt still exist. Example: You missed a payment in 2012. The information about this missed payment will be removed from you credit file in 2018. You paid off or otherwise settled the debt in full. N.B! There are exceptions to the 6 year rule. For instance, certain information can remain in your credit file for up to 15 years if you were found to have acted dishonestly or negligently. Experian, Equifax and Callcredit are all obliged to provide you with a copy of your own credit report for a £2 fee (per report). Since the information kept by each individual credit reference agency can vary, it is a good idea to purchase one report from each one of them, especially since you can not know which agency a future lender will obtain information from. If you find any information that is incorrect in your report, contact the credit reference agency to have them correct it. In some cases, you will be required to contact the creditor and have them correct the information first, before the credit reference agency will update their record. Callcredit has an online service called Noddle, where you can monitor your credit report continuously without paying a fee. Adds for financial products are displayed on Noddle. If you have taken out any credit agreement in joint names with someone else, your credit file will show a link or association to them. Examples of credit agreements in joint names are joint loans and joint bank accounts, as well as cases where one person is the guarantor for another. If you have poor credit worthiness, an association with you can impact the other party negatively in the eyes of prospective lenders. Conversely, his or her poor credit worthiness can make you seem high-risk in the eyes of lenders even if your individual credit worthiness is stellar. 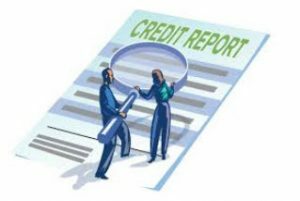 If you notice that there are joint names included in your credit file even though the connections are no longer active, contact the credit reference agencies to disassociate your credit file from these old connections. Disassociation is only possible if the joint account is already paid in full and you do not live with the person. Are only lenders allowed to check my credit report? 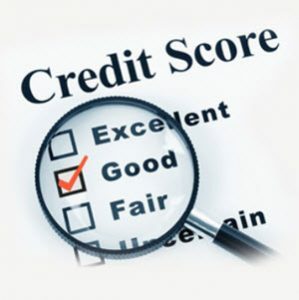 No, it is not just lenders that can obtain information from your credit report. It is for instance quite common for landlords and letting agencies to check up on prospective renters, and some employers check job applicants before offering them a position. Also, insurance companies are known to do credit checks on their clients. Landlords and letting agencies can only check your credit report if you give them permission. Some will only verify your identity and check the public information part of your report, which means that they wont see any missed payments from your past. Having negative information in your credit file can make it more difficult for you to be approved as a tenant. You can be refused tenancy, or approved only if you agree to pay a big deposit or get a guarantor. When it comes to employers, the tendency to do a credit check before hiring vary a lot from one sector to the other. The financial service industry is one example of a sector where routine credit checks on both new and existing staff are very common. Insurance companies are unlikely to deny your insurance policy application just because of negative information in your credit report, but if you are to pay in monthly instalments they may require you to pay a higher rate of interest since you are deemed to be a high-risk client. Welcome to our website where we inform you about your rights when the debt collectors try to collect a debt.